The 'You & I' hitmaker went to the house where the 'Back To Black' hitmaker was found dead in July at the age of 27 in Camden, north London to "pay respects to a musical hero" and went unnoticed by fans. A source told The Sun newspaper: "She went in disguise and kept things low key." 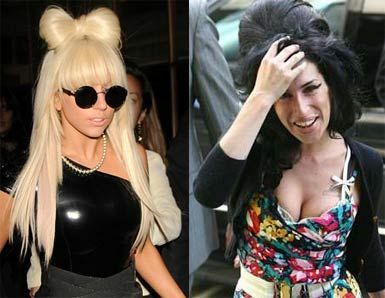 Gaga has previously spoken about her devastation at Amy's death, revealing she couldn't speak for two days after hearing the tragic news. In the wake of her passing she said: "I'm so devastated and so sad. I really couldn't speak for, like, 48 hours straight. I was in such shock. I don't think Amy needed to learn any lessons. I think the lesson was for the world to be kinder to the superstar. Everybody was so hard on her, and everything that I knew about her was that she was the most lovely and kind woman." Last week, the 'Edge of Glory' hitmaker – who has previously revealed she was often mistaken for Amy when she had dark hair – was linked with a role in a proposed biopic about the troubled star. A source said: "Lady Gaga worshiped Amy and would love nothing more than to transform herself into her idol on the big screen. She'd be spot on performing Amy's songs and has got the right look and attitude. "Gaga's been itching to make the transition from music into movies and sees this as the ideal role to launch her film career."